What's up next for the practice management software, Clio, and the practice of law overall? The cloud-based practice management software, Clio, was launched nine years ago. During the fifth annual Clio Cloud conference, Clio CEO Jack Newton introduced in his keynote speech new projects and a future philosophical roadmap for the software, the company, and the way lawyers practice law. In this report from On the Road, Bob Ambrogi interviews Jack about his keynote speech. 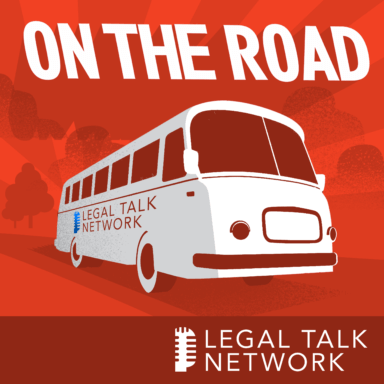 They discuss bringing law practice to the cloud, results from Clio’s Legal Trends Report, Project Hermes, Project Apollo, and the expanding future of Clio through API integrations. Tune in for a truly progressive picture of the future of law practice. Jack Newton is the founder of Clio, one of the pioneers of cloud-based practice management. Jack has spearheaded efforts to educate the legal community on the security-, ethics- and privacy-related issues surrounding cloud computing, and has become an internationally recognized writer and speaker on these topics.